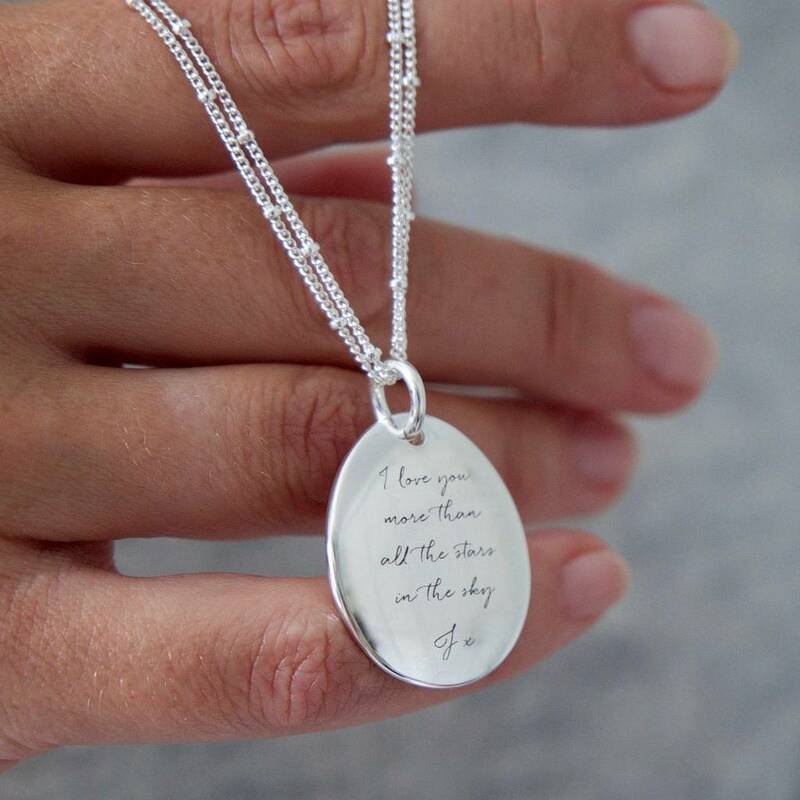 A beautiful, wearable pendant, large enough to be personalised with your chosen words or favourite inspirational quotes. The polished pendant hangs from a tactile double stranded satalite chain. 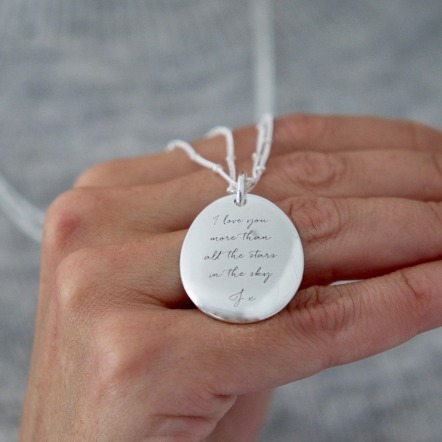 Etch yours with special words from a song or poem or even a family mantra. 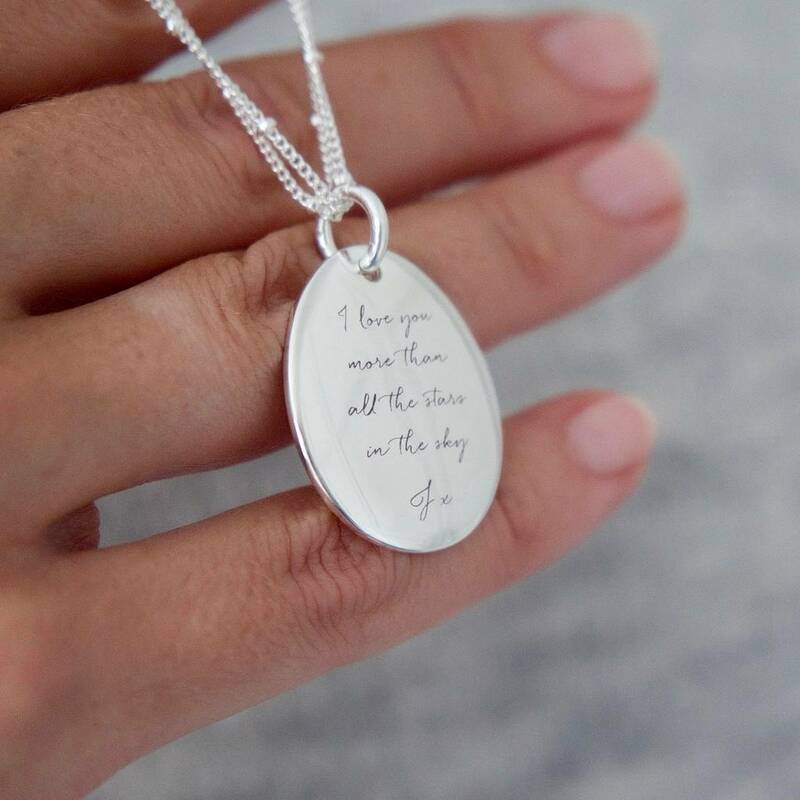 You can add the names of your loved ones and always keep them close. Perfect for layering with other pieces, this statement necklace catches the light beautifully and looks great worn with everything. Each pendant will be designed by hand and your chosen personalisation will be spaced to fit.